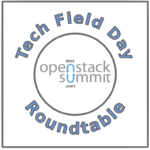 This video is part of the appearance, “NetApp Presents at Tech Field Day Extra at OpenStack Summit Austin 2016“. It was recorded as part of Tech Field Day Extra at OpenStack Summit 2016 at 13:00 - 14:00 on April 26, 2016. Rob Esker, Product Manager, and John Griffith, Principal Software Engineer, discuss the various contributions to the OpenStack project provided by NetApp and SolidFire. Included are discussions of storage plugins and other projects.